I Am A Beautiful Butterfly!!! Do you know what movie that is from??? I Am A Beautiful Butterfly…..if you guessed A Bug’s Life you are correct! I love that movie and the crazy little bugs. Butterflies are all I seem to want to play with right now! 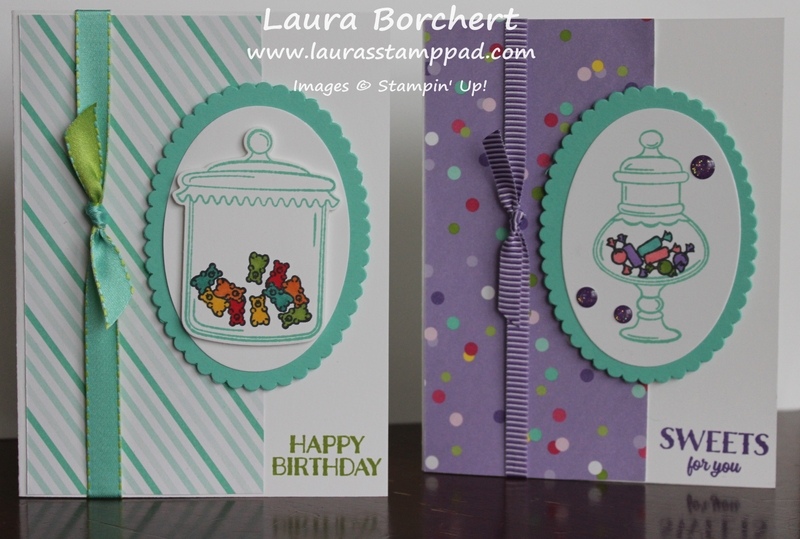 The Butterfly Gala Stamp Set, Duet Butterfly Punch, Botanical Butterfly Designer Paper…..I want it all!!! 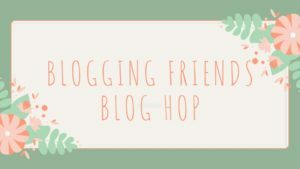 Today, I am honored to be a part of the Blogging Friends Blog Hop!!! 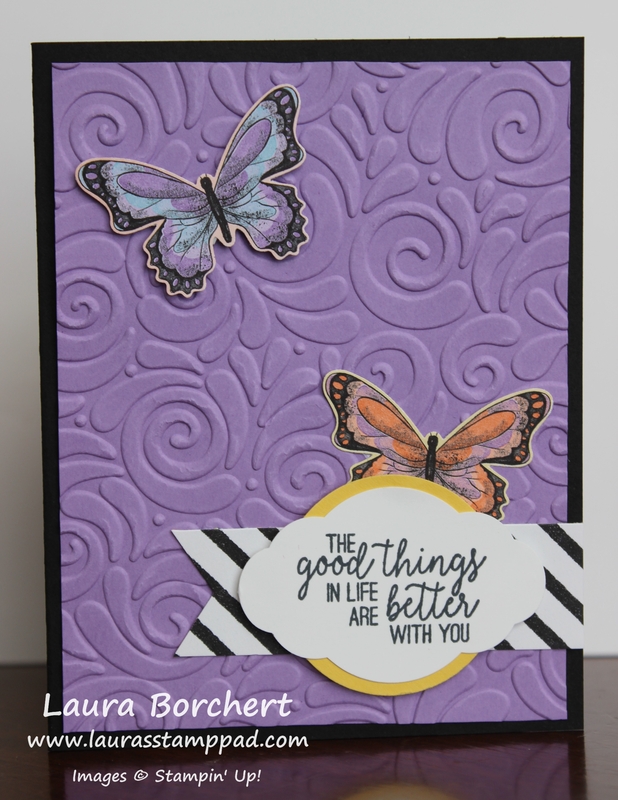 I created this amazing butterfly card and the other Blogging Friends used it as inspiration for their project. Be sure to check out all of their links below to get more fabulous ideas on how to use these products! Isn’t this card so fabulous with that POP of purple and those gorgeous butterflies??? I am love love loving it! Also, I always love playing with some back and white! 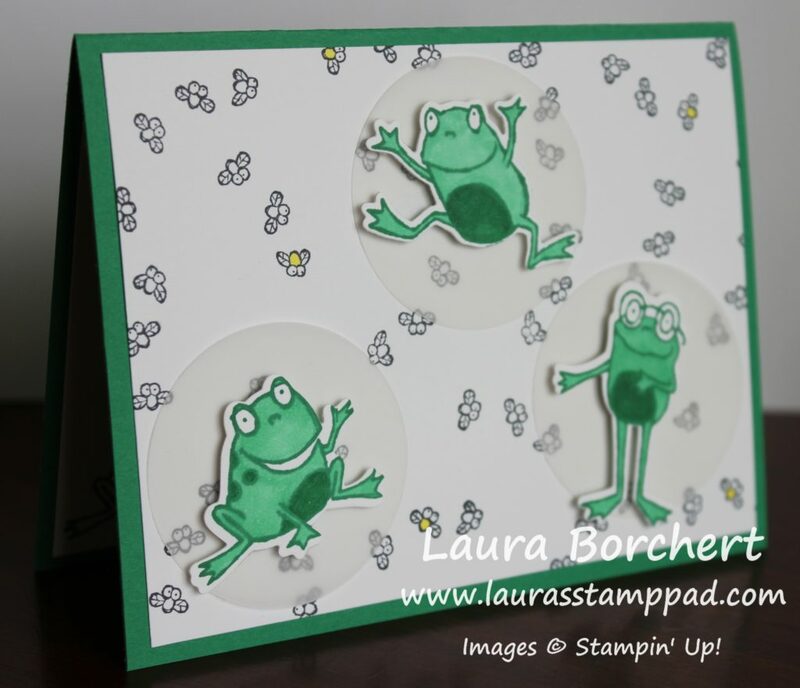 The super cool thing about this card is that the butterflies were already colored for me so that was super easy!! I started with a Basic Black card base. 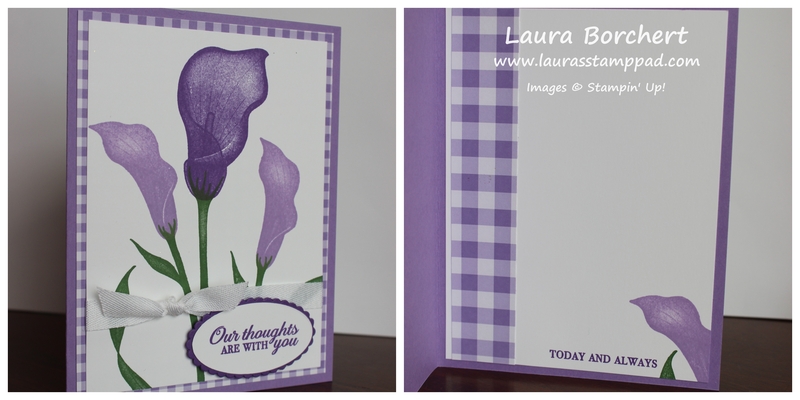 Next, I took a piece of Highland Heather (4″ x 5-1/4″) and ran it through the Big Shot in the Swirls & Curls Embossing Folder. 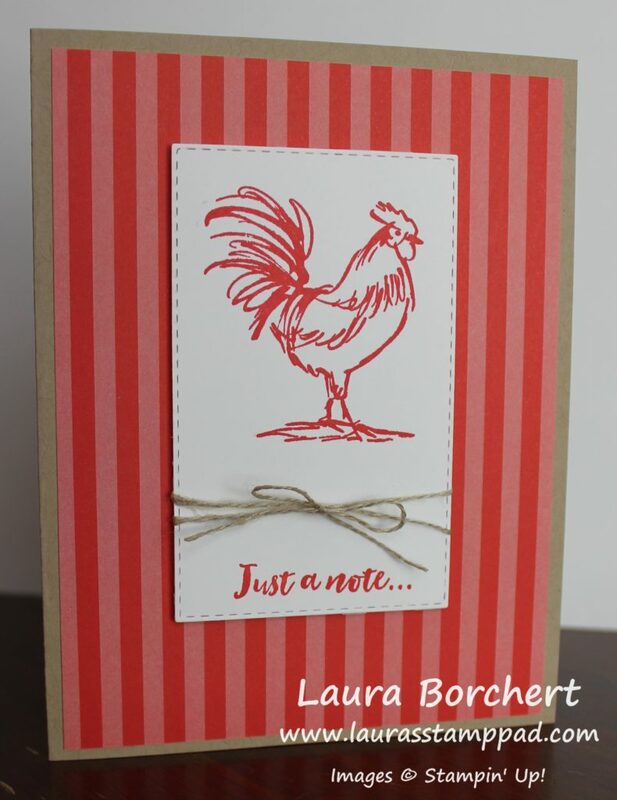 This makes such a fabulous background and gives the card a lot of texture. 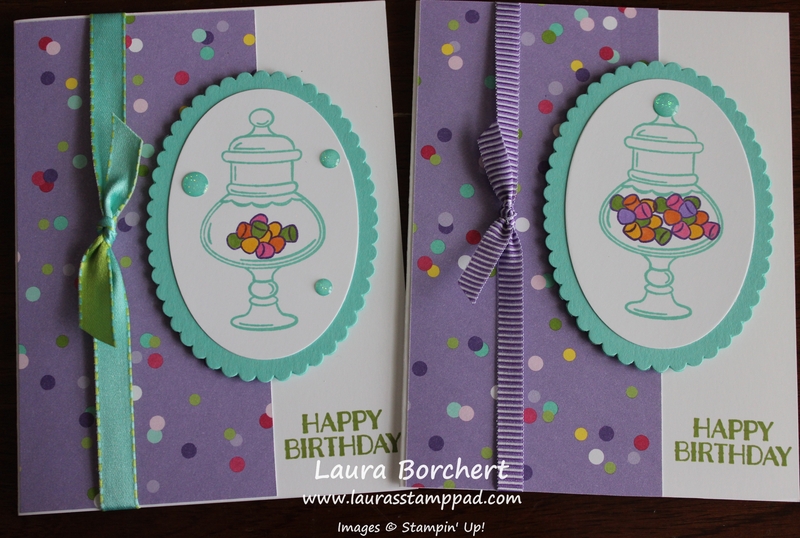 I added this piece to the card front! 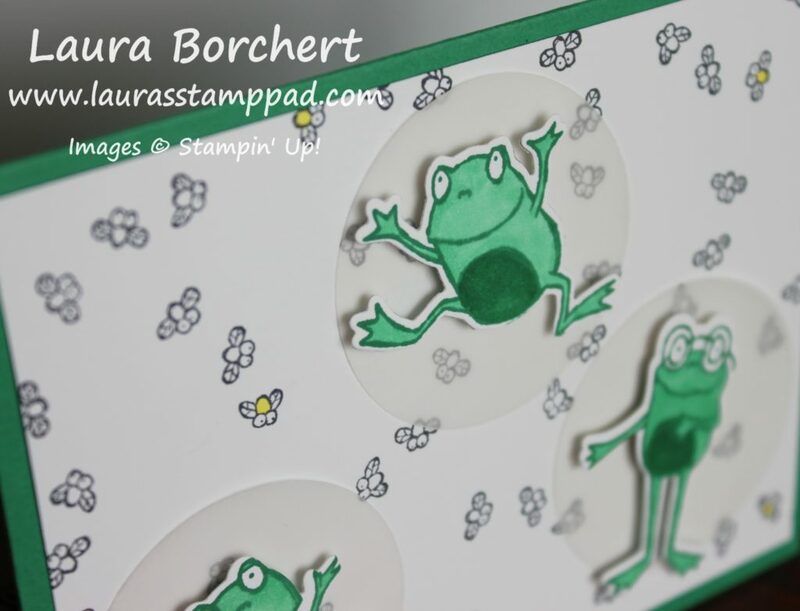 Then I took a strip of the Botanical Butterfly Designer Series Paper which is a Sale-A-Bration item and punched some banner tips using the Banner Triple Punch! The strip measures 1″ x 3-1/2″. 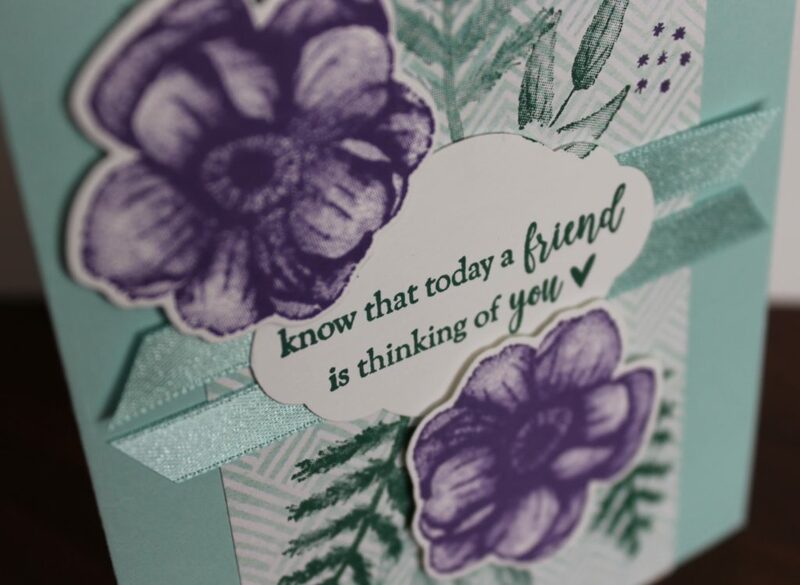 This was added to the card front on the right side edge. 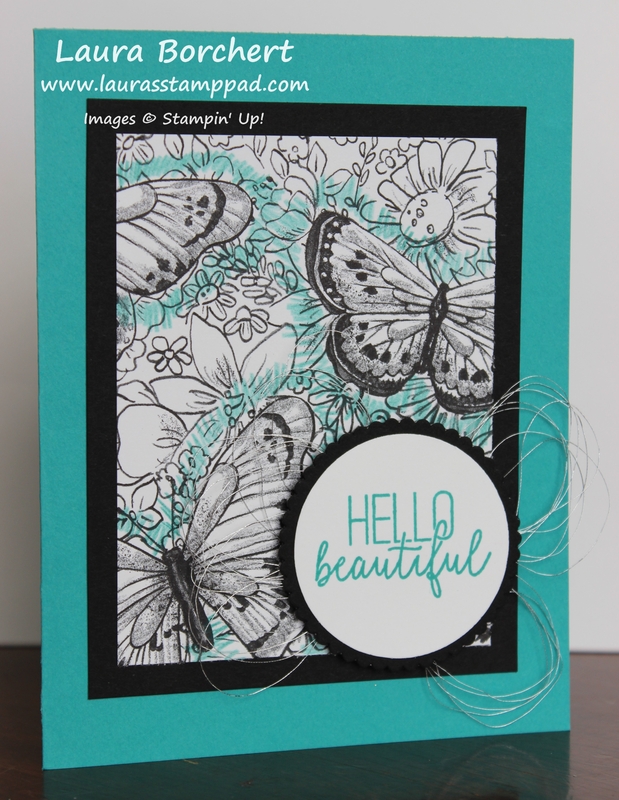 For the greeting, I stamped it in Memento Black Ink from the Butterfly Gala Stamp Set. 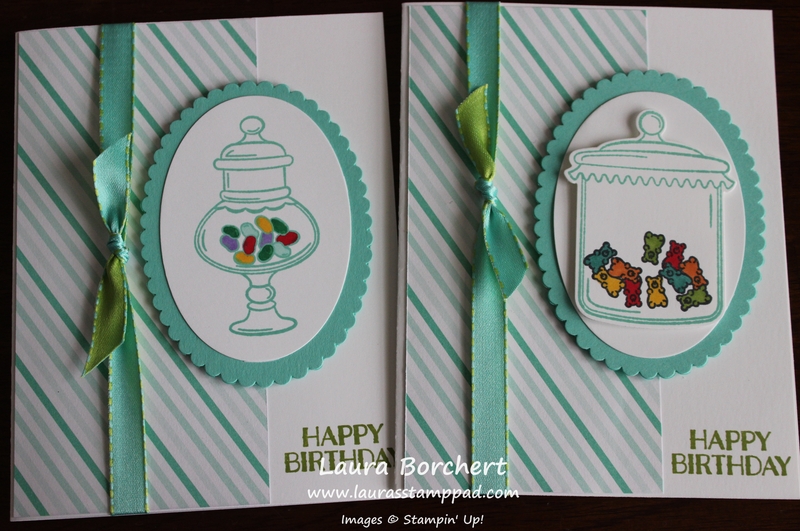 Then I punched it out with the Pretty Label Punch! 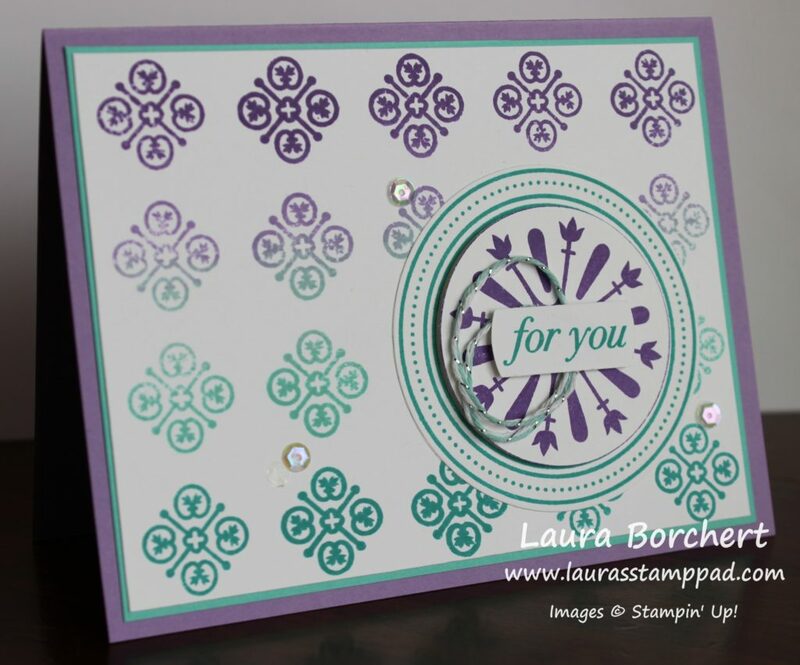 This was then layered onto a Daffodil Delight 1-3/4 Circle. 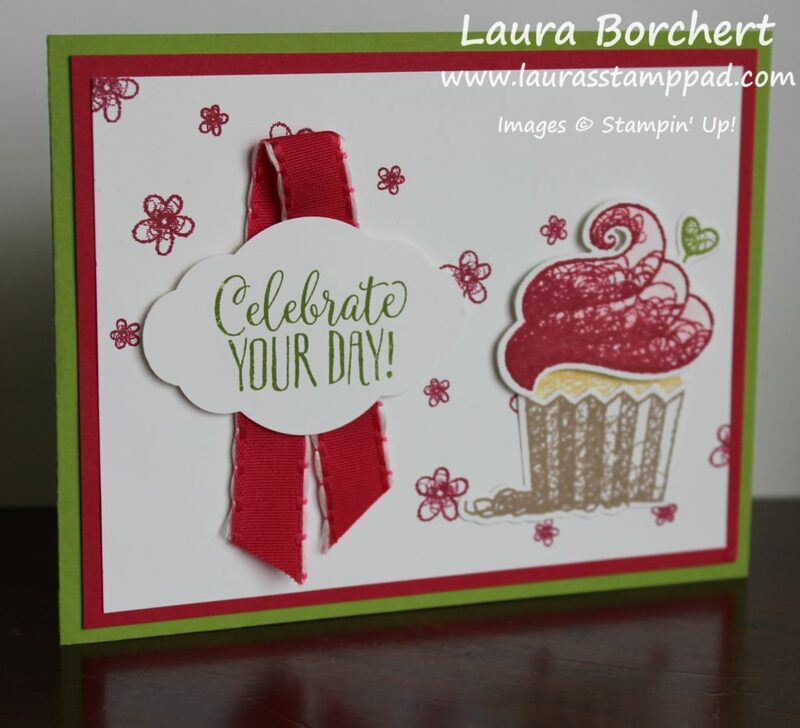 The greeting was added to the card front with Stampin’ Dimensionals for even more texture! Now for those amazing butterflies that I didn’t have to color. 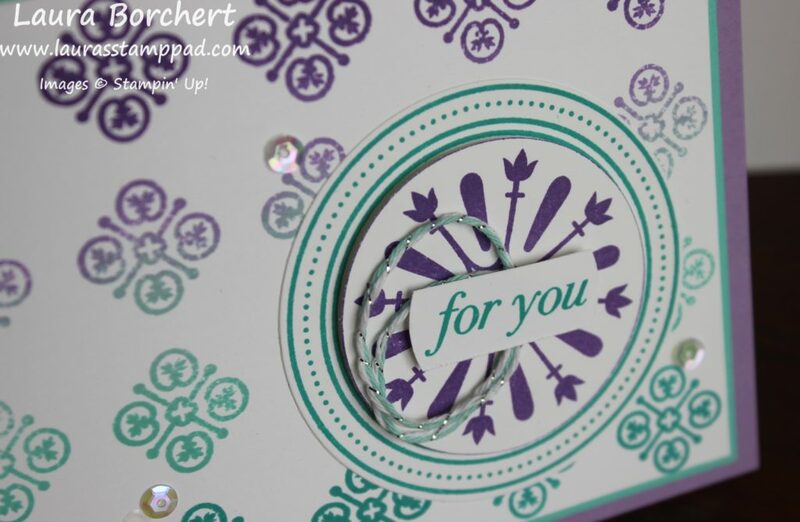 Those were actually punched out with the Butterfly Duet Punch from the Botanical Butterfly Designer Paper! How cool is that??? 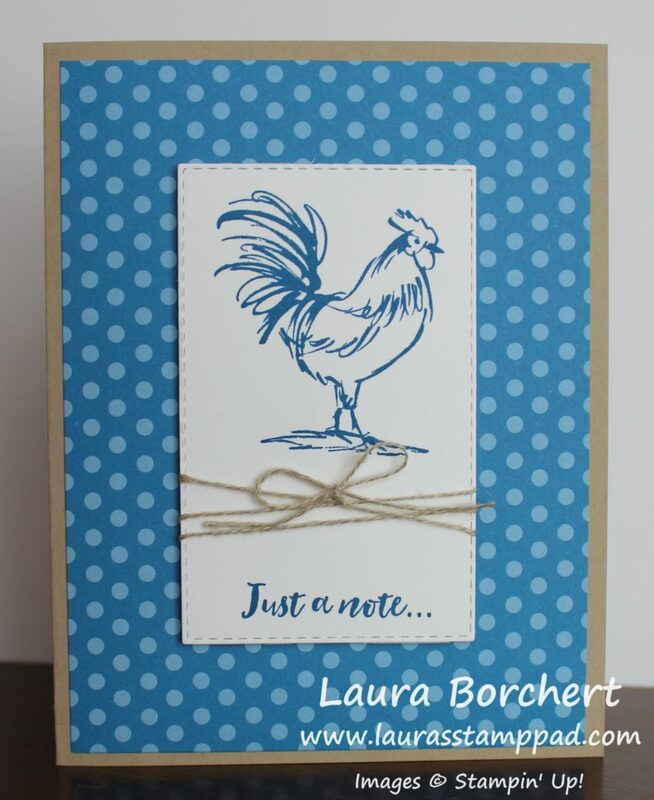 No fussy cutting or coloring! 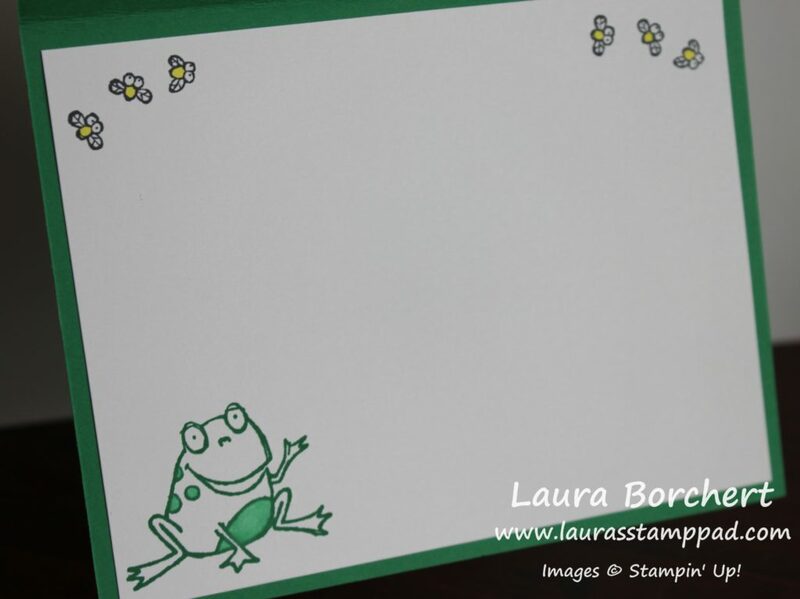 The piece of paper has LOTS of butterflies with different color combinations to pick from. 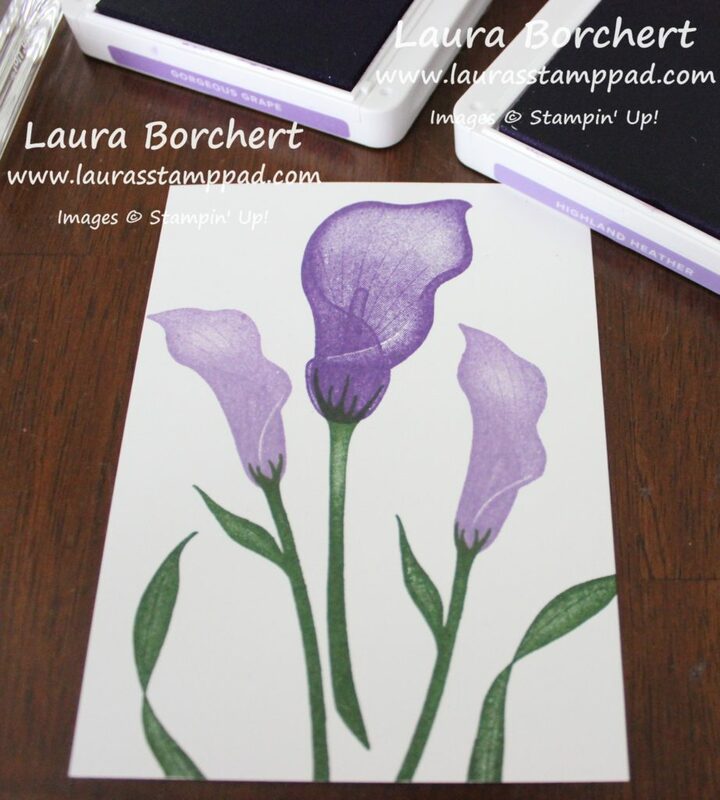 I went with these two so that I could keep with the purple theme. 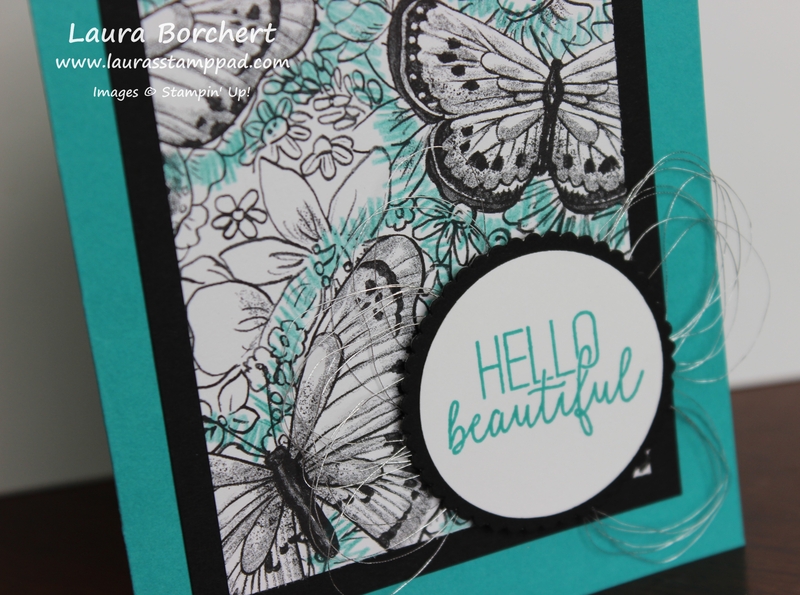 Another tip: the butterfly hiding behind the greeting isn’t even a full butterfly. I really loved the coloring on that one but it was at the edge of the paper so it wasn’t a complete butterfly. 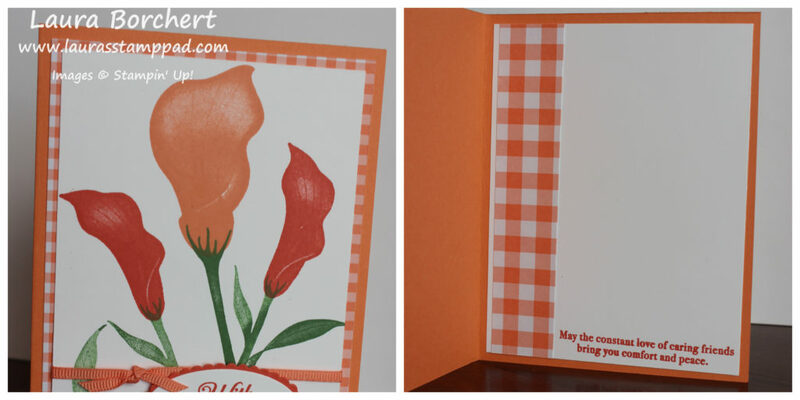 No need to fret, I just make it look like the butterfly was flying up from behind the greeting! It looks fabulous and you would never know! After all, we can’t waste designer paper! Am I right? 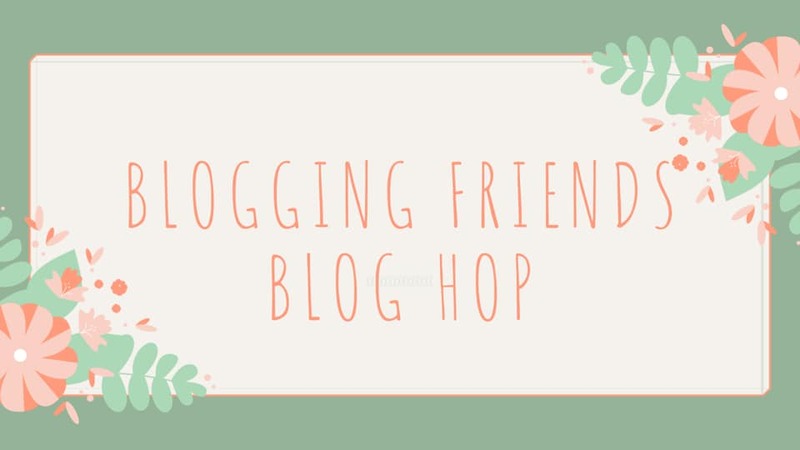 Click the blue box below to see a complete list of the other Blogging Friends in this Blog Hop and see their amazing creations! 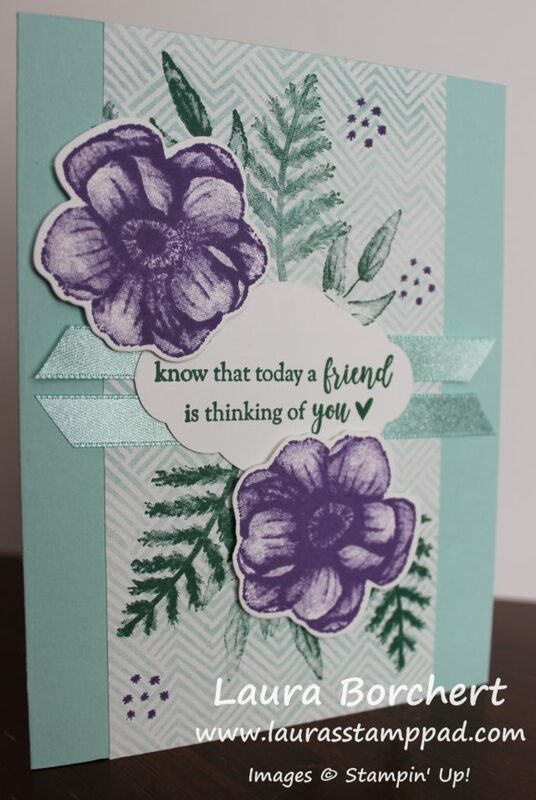 Check out the supply list below so you can recreate this amazing card and earn the Botanical Butterfly Designer Paper for FREE through Sale-A-Bration!! !